I love this podcast. Enjoy the reenactment dialogue. It makes you feel very present and connected to the story. May I suggest female voices for female characters? Overall great job. Thank you. Stormy Daniels, secret hush money payments, and the lawyer at the center of it all: Michael Avenatti. In 2018, we saw an American scandal unfold right before our eyes -- live on television. 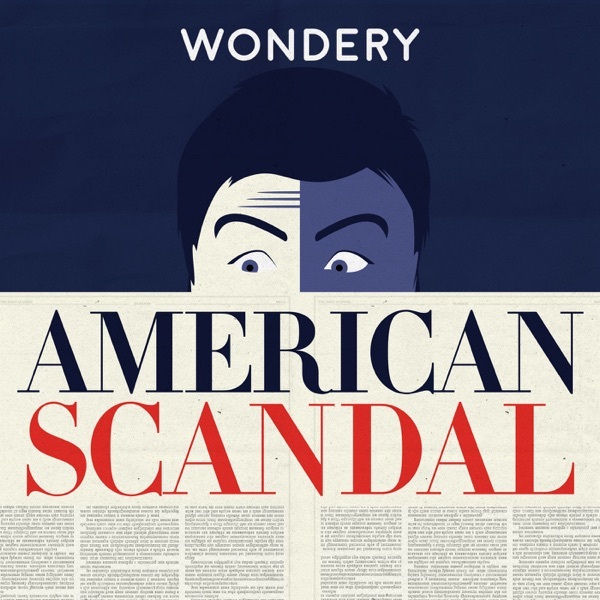 On this special episode, Los Angeles Times political reporter Michael Finnegan joins to discuss the rise and fall of Avenatti and what his story reveals about the way our society consumes scandal. HelloFresh - Get $80 off when you visit them at HelloFresh.com/as80 and enter code as80 at checkout. Former Hare Krishna Henry Doktorski talks about what led him to join the faith, day to day life on the West Virginia commune, and why he finally left. Read more about the Hare Krishna’s in Henry’s book, Killing for Krishna: The Danger of Deranged Devotion. Lightstream - Go to LightStream.com/AS for an additional discount. Keith Ham’s chief enforcer is summoned back to New Vrindaban for a mission. He enlists the help of a friend of the commune who turns informer. Steve Bryant goes into hiding. Deputy Westfall works with the state police to finally make some arrests, but will he be able to bring down Keith Ham? Steve Bryant is forced out of the commune at gunpoint and heads to California where he finds evidence that the Gurus are frauds. Berkeley Temple Leader Hansadutta has a meltdown that lands him in jail. An attempt to start a Guru Reform movement divides the movement and leads to death threats. A devotee attacks Keith Ham. When the Swami dies, eleven senior disciples declare themselves gurus and take control of the movement. In Berkeley, Hansadutta becomes paranoid and starts amassing an arsenal of weapons. In West Virginia, Keith Ham finishes constructing his palace of gold. But when new devotees with records for violent crime join the commune, Deputy Westfall grows alarmed. A drug smuggling operation at the Krishna Temple in Laguna Beach ends in murder when temple leaders pair up with ex-mafia informants. An elderly swami from India captures the zeitgeist of 1960s counterculture in America with his message of peace and love. But his western disciples are hungry for power, and one of his most trusted devotees betrays him. You can find new episodes of American Scandal, completely ad-free, only on Stitcher Premium. For a free month of Stitcher Premium, go to stitcherpremium.com/wondery and use promo code ‘WONDERY’. The fishermen run a blockade. Alyeska Pipeline goes to extremes to root out a mole. Exxon and the fishermen face off in court. After Captain Hazelwood’s arrest, Exxon tries to clean up its public image. President Bush tells Exxon to pick up the pace on the cleanup. Fisherman Riki Ott takes on Big Oil in the Alaska State Legislature. The fishermen find that damage from the spill is even worse than expected, while a winter storm destroys Exxon’s plans for a quick cleanup. Captain Hazelwood disappears. How does the Iran Contra investigation compare to the Russia investigation today? We go behind the scenes with Michael Bromwich, a lawyer who worked on the Iran Contra case. He tells us what it’s like to delve into the dealings of America’s most powerful players. Independent Counsel Lawrence Walsh sets his sights on the White House and tries to answer the question everyone has been asking: Exactly how much did President Reagan know and when did he know it? Independent Counsel Lawrence Walsh is called to D.C. to investigate Iran-Contra and bring those responsible to justice. But what he discovers will shake his political allegiances, and drive a wedge through the heart of the country. When the story breaks that senior US government officials secretly traded arms for hostages, Congress and the American people demand answers. Chief of Staff Don Regan and Attorney General Ed Meese begin building a wall around the President. In July of 1985, the National Security Advisor to President Reagan, Robert “Bud” McFarlane puts a plan in motion that could change the course of history and turn the Reagan administration upside down. Host Lindsay Graham talks with Alex Gibney, director of “Client 9,” a documentary that examines the rise and fall of Eliot Spitzer. Preet Bharara investigates Sheldon Silver and Dean Skelos - the explosive trials and the aftermath. You can read more about the Sheldon Silver trial here, and read about the Dean Skelos trial here. Brooklinen - Get $20 off and free shipping by going to Brooklinen.com and use promo code "AS" at checkout.